Parties happen for many reasons and no reason at all. 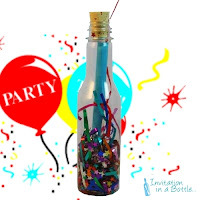 And when it comes to party invitations are vital. People won’t come to a party if they don’t find it important enough. So invite them in a way they will not resist. In fact, they will be ecstatic to join you. And we have the perfect way to invite people and bedazzle them. We’ve got thousands of customers, who bought from a selection of more than 50 bottles with different themes for different occasions. 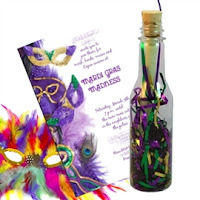 If you are looking for an exceptional way of invitation, you can get the best from us. We even have an online service. Birthday: Who does not love birthday parties? Specially surprise ones? Invite people with secrecy and with awesomeness. Use our glass bottles. Chose the theme, place and surprise plans. Pick the guests and decide the plans. Now give us the list and plan. We shall send them in time. Prom: Prom is the best high school dance one attends. So, this prom uses a different kind of invitation. 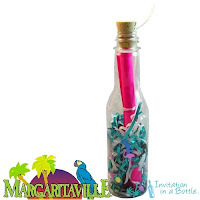 Invitation in a bottle. You can pick from a huge selection. 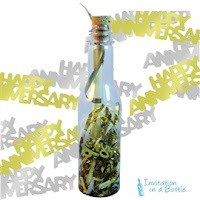 Send every student a gorgeous bottle invitation. They will keep it always as a reminder of a great night full of drama and magic. Beach Parties: Raise your status high. Before throwing a beach party invite people in bottles. Yeah. I am not joking. Order Now http://bit.ly/2apV0mT and see. Anniversary: Anniversaries are celebrations of love stories. They are precious in their own way. Celebrate this special day with friends and family. Invite them in a special way too. Sweet Sixteen: The cutest bottle of the sweet sixteen year old. Celebrate your girls sweet sixteen with us. She will surely love it. Bar Mitzvah: If you are Jewish and got a newborn, this is the best thing for you. It respects your religion and represents it perfectly. You can easily place your order. Luau: if you are Hawaiian or been to Hawaii you know perfectly well what luau is. So, get your whole spirit on and luau away. And to make it even more great use our invitation. As a souvenir or invitation. We have succeeded in becoming more elegant than ever. We are inviting you to visit us and take a look at the bottles. You can’t help but like them.